Won’t any mouse pad work? Yes, given how much better mice are at tracking surfaces nowadays with great optical sensors, any surface will track for the most part issue free. But I know that if you’re here then you’re looking for the best and gaming specific mouse pads will no doubt help you aim, micro, last-hit and 360 no-scope much more effectively. After spending dozens of hours weighing options, poring over minute fabric details, we believe the Swift-RX by Cooler Master is the best overall mouse pad for gaming and the first pad you should consider when looking for an upgrade over whatever you’re currently using. 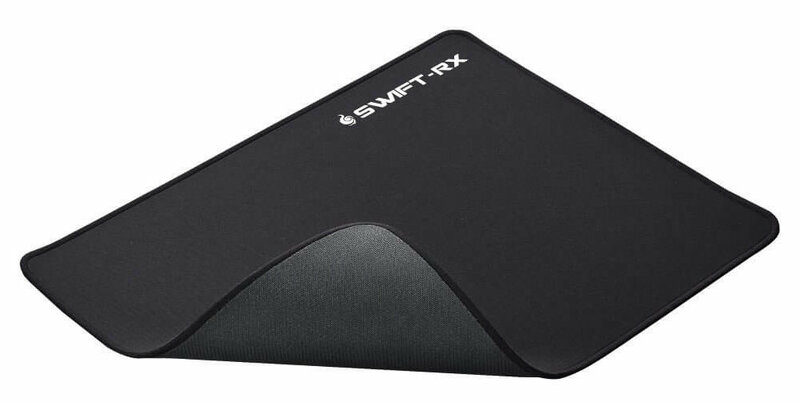 Our pick – The best mouse pad for most people is the Cooler Master Swift-RX for its overall build quality, good control and speed balance and sizes for all types of setups. The Swift-RX has a middle of the road between being a speed pad and a control pad, it’s not as slippery as some speed pads and isn’t super sticky like some control pads. The mouse pads are well built, they’re minimally styled and come in 4 different sizes, it’s a great mouse pad and should suit a large group of gamers. They’re also very affordable! Do good mouse pads make a difference? Yes, especially if you care about being competitive in any game where mouse accuracy is important. A cheaper mouse pad will feel too slippery or sticky, or generally just inconsistent surface wise causing erratic cursor movement. What this means is better tracking, better unit selection and generally better muscle memory since you know you’re getting a consistent tracking experience. On top of performance benefits, a higher quality mouse pad will just simply last longer. The Cooler Master CM-Storm Swift-RX is our top pick for overall best mouse pad for gaming. It’s going to be best suited for the most types of games and play styles. The surface is made of a microscopic mesh for great tracking, while the edges are stitched to prevent fraying. The bottom features a grippy rubber so your pad won’t be sliding all across your desk. Having 4 sizes puts the Swift-RX over the top, they have an option for however much space you have on your desk. We also just like the minimal design of the pad, it’ll work with any kind of set up looks wise. The Swift-RX criss cross synthetic fibre surface is pretty ideal, it allows for a lot of gliding for those quick snappy movements like flicking for a head shot but still allows for good stopping speed and control when you need to track targets. The surface stays smooth over time and doesn’t really change, which can happen to other mouse pads. So if you play Overwatch, CS:GO and then have a midnight league session, this pad will keep up with all the 180 turns, flick shots, tracking and item clicking no sweat. The logo for the mouse pad is unfortunately printed on with rubber, so you’ll feel a different texture if you happen to mouse over into the top corners of the pad, this is more of a problem with the smaller mouse pad sizes. You generally want as big of a surface as you can manage. The larger the space the lower you can turn your sensitivity and the more accurate you’ll be in FPS games, but if you lack desk space then the Swift-RX accommodates you very well. The Swift-RX sports a stitched edge that will make sure that the surface doesn’t separate from the rubber bottom over time. The mouse pad can handle a wash should it get dirty and should last for quite a while. 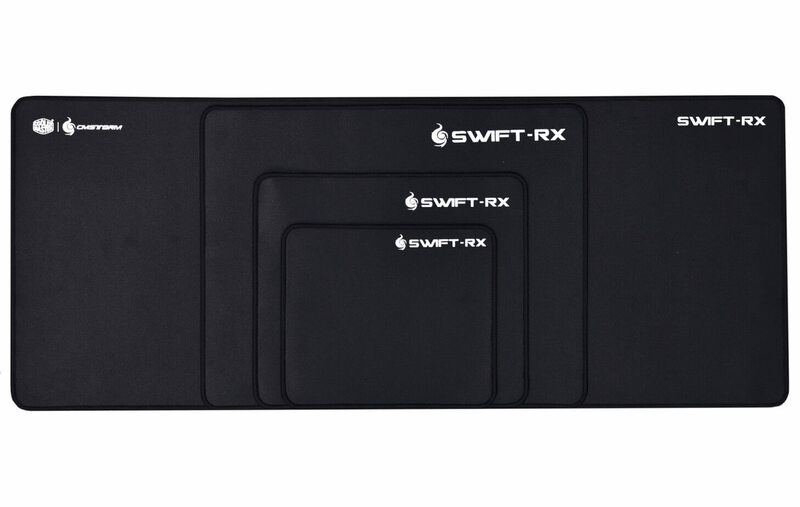 The only concern with the Swift-RX is that the logo is printed onto the surface in a rubber finish. What this means for the smaller sizes is that if you happen to mouse over the logo you could very well get a much grippier feel during that time. Outside of that concern, the mouse pad is essentially flawless. Rocketjumpninja loves the Swift-RX and has the mouse pad as his top choice. Tech Critter gives the Swift-RX its gold award recommending it with no hesitation. 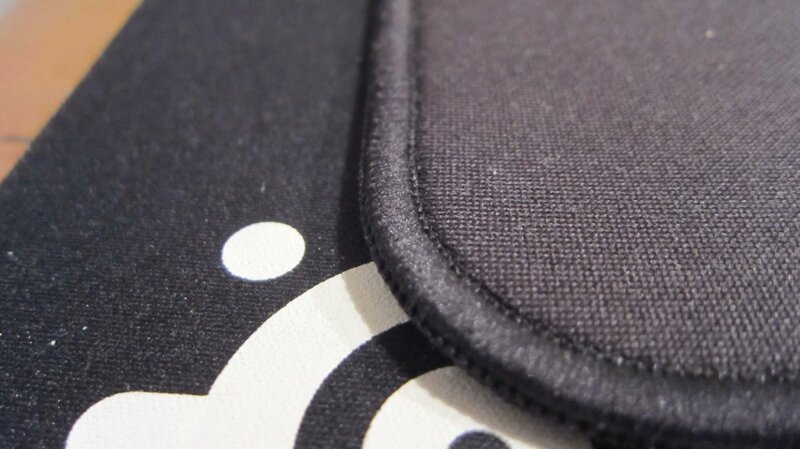 Pokde calls the Swift-RX among the best fabric mouse pads out there giving it a Gold award. 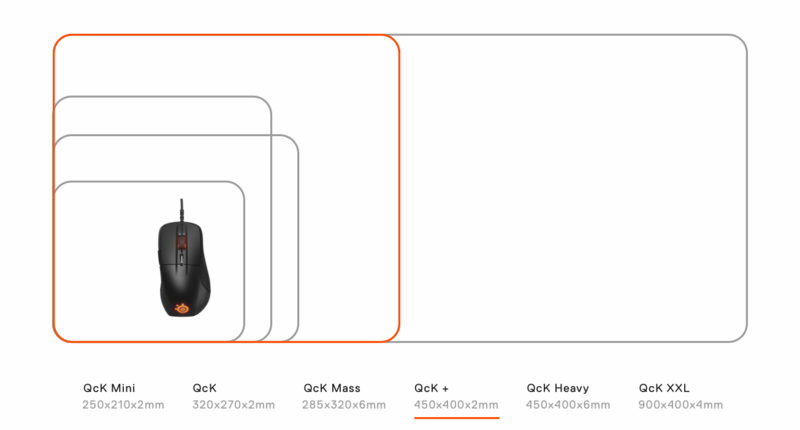 Our overall pick isn’t that expensive, but if you need to really save as many dollars as you can for that super expensive gaming monitor then you should look at the OG gaming mouse pad, the Steelseries QCK line. Starting at $10 for their regular size and $7 for their mini size, this is as cheap as it gets with a brand name mouse pad. 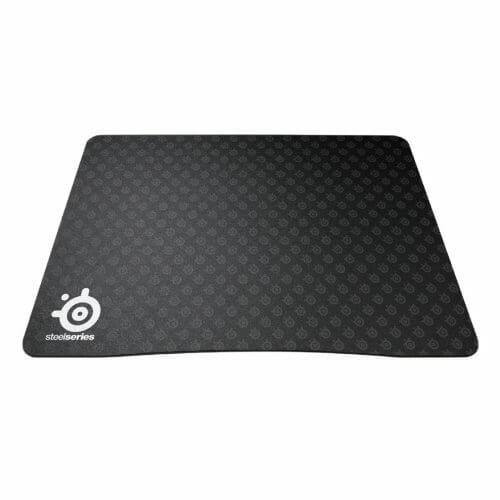 Best budget mouse pad – The best mouse pad for most budget conscious people is the Steelseries QCK series of mouse pads. Gets dirty easily, will pick up oil and skin over the long run, requiring a wash.
A few years ago pretty much every pro gamer was using this mouse pad, it is one of the standards of which all other mouse pads are measured against. You’ll get good tracking with the QCK line with no exceptions. By spending a little less you give up a few things; it’s very thin so you won’t really get any cushion, most of the QCK line doesn’t have a stitched edge, so after a couple of years the mouse pad will fray. For this writer personally, the QCK picked up a bunch of oil and skin over time, requiring me to clean it at regular intervals, might just be a “me” problem though! If you like a little bit of a slicker feel for your mouse pad and benefit from a smoother glide, for example if you’re more of a flick aimer and don’t need to make as many micro adjustments, then the Glorious PC Gaming Race line of mouse pads are a top pick. They’re fantastic mouse pads that almost made it as our overall pick. Best Speed Mouse Pad – The best mouse pad for most people who want a slicker mouse pad is the Glorious PC Gaming Race line of mouse pads. 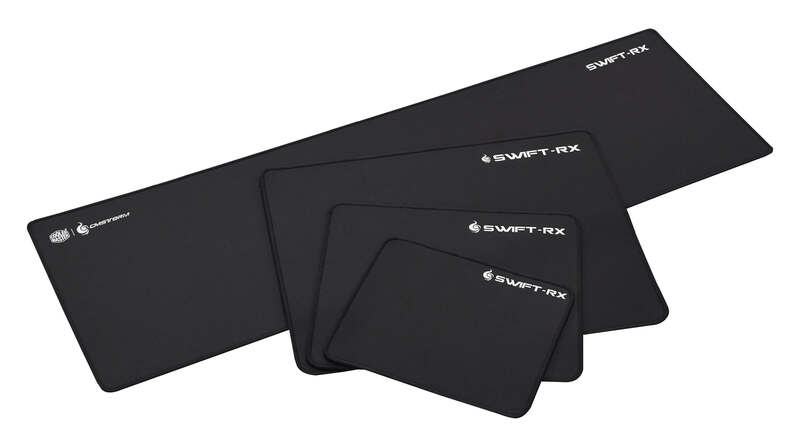 The Glorious PC Gaming Race mouse pads are priced similarly to the RX-Swift and pretty much have all the same niceties such as edge stitch, rubber base, they’re slightly thinner at 2mm so you won’t get as much cushion as the Cooler master pad. If you prefer the feeling of a hard surface then the Steelseries 4HD and 9HD are the mouse pads you should be looking at. Best Hard Mouse Pad – The best hard mouse pad for most people who want a slicker mouse pad is the Steelseries 4HD and 9HD. Compared to the Logitech G440 and the Corsair MM400 the 4HD and 9HD have a better quality surface for tracking and better durability. Considering Steelseries’ pedigree with making quality products you should look at the 4/9HD before considering other hard mouse pads. If these suggestions don’t really strike your fancy, make sure you consider all angles of a mouse pad before buying, here’s all the things you should consider when buying a mouse pad. You should get as big of a surface as you can. If you’re a low DPI/sensitivity gamer then you should aim to have a bigger surface so you can make one long swipe to cover long distances. A bigger surface allows a lot more maneuverability when gaming. If you don’t have a lot of desk space or you have a high sensitivity then a smaller mouse pad will be fine. Material – Soft or Hard? Generally, soft mouse pads track and perform much better than hard surfaces. 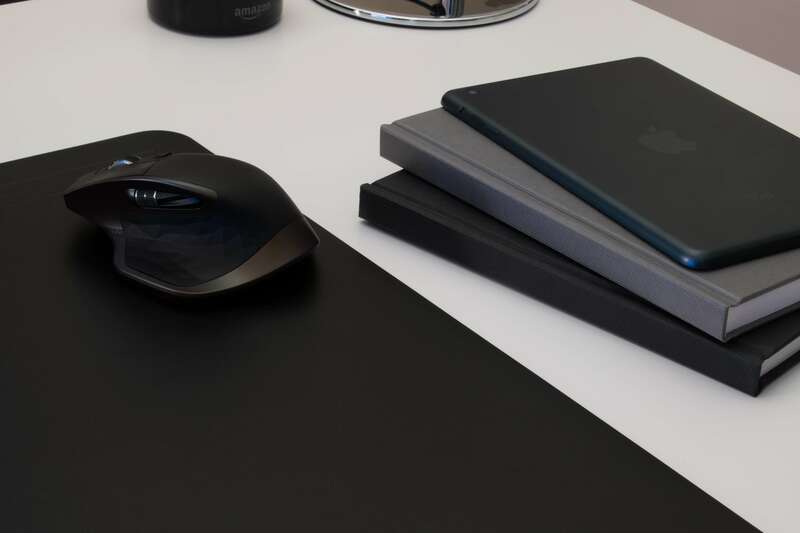 If you prefer a very slick surface then you should go with a hard mouse pad like the Steelseries 4HD but there are some cloth pads that provide a fairly slick feel such as the Glorious PC Master Race mouse pads and the Razer Goliathus Speed. Soft mouse pads are more prevalent with many more options, if you don’t have a preference already, start with soft mouse pads. Most mouse pads do a good job of this, so it comes down to a bit of preference. If you tend to be a flick shooter or generally move the mouse around quickly you probably want a smoother mouse pad, if you play with low sensitivity and like to track targets then a higher friction mouse pad is probably right for you. Pay attention to the texture of the surface to determine whether the mouse pad is a speed pad or a control pad, the weave in a mouse pad determines how much your mouse glides on a mouse pad. 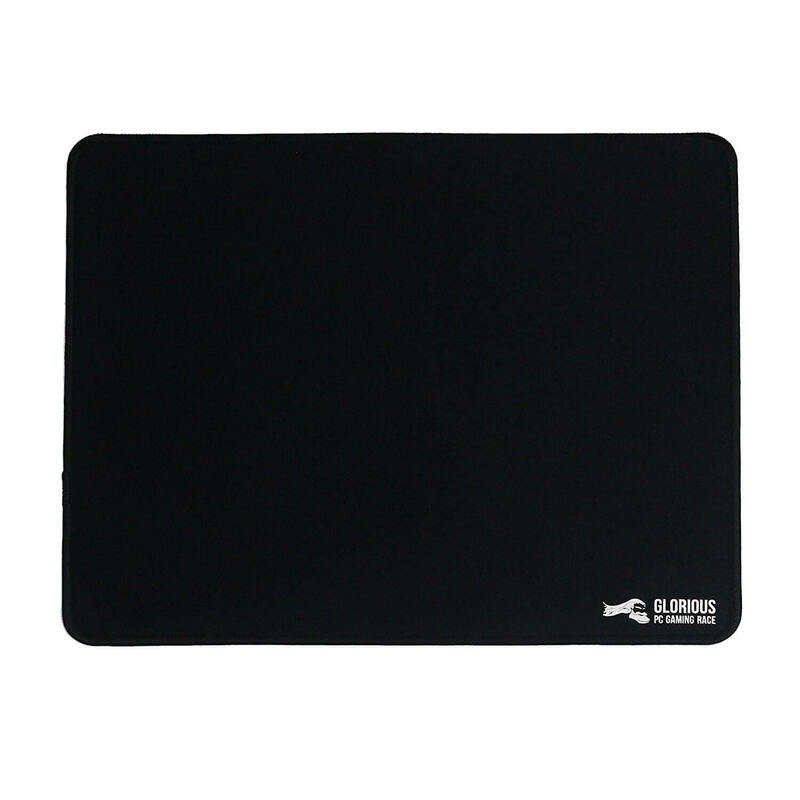 All the major brands of mouse pads have surfaces that will work with popular mice. You want a one sided mouse pad with rubber on the bottom so your mouse pad won’t slip on any surface. Consider how thick you want your mouse pad to be, if you tend to put a lot of pressure on your hands while playing a thicker mouse pad with more padding might be beneficial to you. Get a mouse pad with a stitched edge to prevent fraying over time. 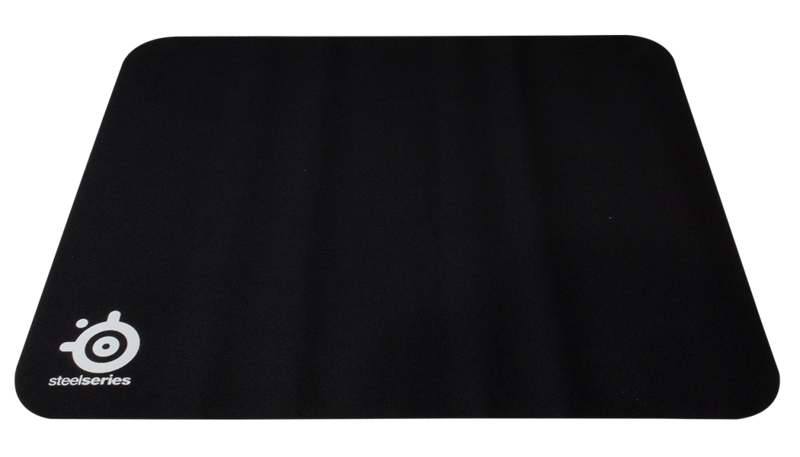 Other than that mouse pad durability is fairly straight forward, look for mouse pads that use good material and have good weave patterns and stitch quality. Look at reviews to see if the mouse pad can withstand washing periodically.